I’d read a lot of blogs and books that described the importance of Why. I didn’t immediately get it. And, I’ve since learnt that many people think they get it, but really they don’t. 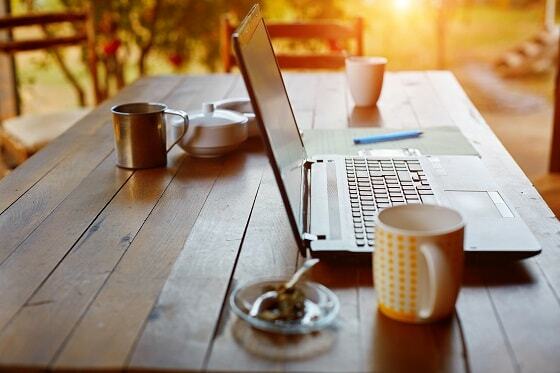 So hopefully, instead of checking your emails or making a cup of coffee, reading this post will prove to be a good use of your valuable time. So, anyway, let me rewind - I didn’t get it. I didn’t understand the importance of it. The importance in terms of how my business would grow once I understood and embraced the Why. Surely product design was king. Surely marketing the great features and USP of my product trumped all. Who cared about Why? It was probably just a fancy thing, a fashionable fad that was interesting but wouldn’t bring sales. My accelerator hub, eSpark, told us about Why. I thought “OK, it’s Why again. I can’t get away from it.” And, I couldn’t get away from it, but I still paid just lip service to it. Fast forward another few weeks, to a couple of months ago. I was sat In Basingstoke. Basingstoke has a lot of roundabouts and then some more roundabouts and you just keep driving round them and perhaps it isn’t the place you’d expect to have an epiphany (edit – if you get away from the roundabouts it’s a great place with great communities). I was taking part in a two day SetSquared work shop. It was day one. It was 10.05AM. Guess what? They were talking about Why. We were handed a sheet (here it is). And so we split into groups and discussed what we’d written. And in many ways, it became emotional. A walk back through our childhoods, through the stages of our lives that have taken us to where we now were. And, I slowly began to see the connection between who we are and what we do. And, more importantly, I began to see that it was who we are that was the most interesting thing, the thing that bonds humanity, that attracts people to people. I’d heard and read countless times, the words of Simon Sinek, “People don’t buy What you do, they buy Why you do it”. But, here today, now I got it, 100%. The Why is the genuine part. The part that we, as humans, connect with and get inspired by. People didn’t want to hear about our product, they wanted to know why we built our product because then they’d understand and, if it was a Why that resonated with them, they’d buy our product. And our recent history is littered with examples of how the Why changed the fortunes of companies. None more so than Apple, where in the 1990’s, with the business struggling, Steve Jobs focused on the Why. And he talks about this in his own genius way, here. And, yet, articulating the Why was not straightforward. My Why statements sounded like Sales Pitches – yuck. I was then lucky enough to come across Roy H. Williams “The Wizard of Ads” video and it all became clear. We believe in superior code. We believe in eliminating every squeak, rattle and hum, because if you don't bigger problems will come. We believe in replacing every screw - even the ones other people left out - so that we can tighten the unit up like new. Compelling stuff? I think so. I’d read these and I’d choose this company to service my air conditioning unit. And that’s because I can understand what it is they believe and how it will relate to me, the customer. It’s not sales-pitch or fluffy. It’s the nuts and bolts beliefs that will ensure I get superior service and value. And, yes, like Mr Williams, I believe that this is the Why that Simon Sinek talks about because the Why is the beliefs that everyone in the company must share (and understand) to build a superior, powerful brand. Mr Williams certainly gives a fresh, simple take on Simon Sineks Why. One that brought understanding for me and the change has been remarkable. Not least when people ask what I do, I now articulate exactly why we built EvantoDesk and never what it is. And people get it straight away. Even if they’ve never heard of help desk software. They’ll nod and say, yes, if only someone could do a simplified version of ‘Software A’ that they use, they’d buy it. Understand the Why as early as you can during your startup and ideally before you go and market your product, as your marketing should be based on the Why. I hope this helps you understand the Why and why it is so important for you, your brand and your business. 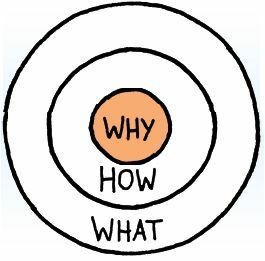 View ‘Getting to the Why’, courtesy of SetSquared.